NYO Open is our opportunity to throw open the doors of NYO residencies, projects and concert tours to collaborate with local and national Partners. NYO Young Promoters shape and present 9 in-school concerts and host NYO Teen Hang-Outs before NYO concerts in major venues. 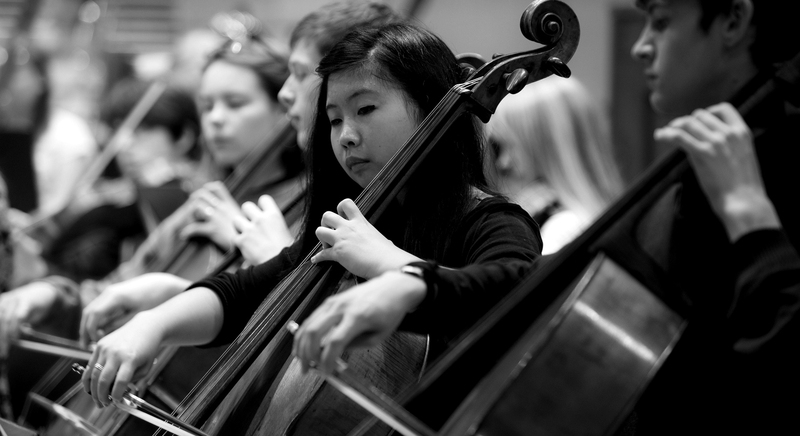 We give self-selected teenagers bespoke access to high-quality orchestral music. Working closely with NYO staff, Young Promoters help bring NYO output – programming, marketing, communications, and digital – into alignment with teenage sensibilities. Welcoming music teachers and music professionals from schools, music hubs and services to spend an immersive day with NYO Tutors on guiding teenage musicians in their orchestral playing. Continuing the mission to give inspiring musical experiences to teenagers across the UK, NYO regularly takes orchestral music out of the concert hall to our fellow teenagers in secondary schools. Wherever NYO residencies take place, we ensure that we offer opportunities to that local community to have an encounter with NYO while we are in town. These are bespoke projects delivered in partnership with the local music service or music education hub for that particular region.